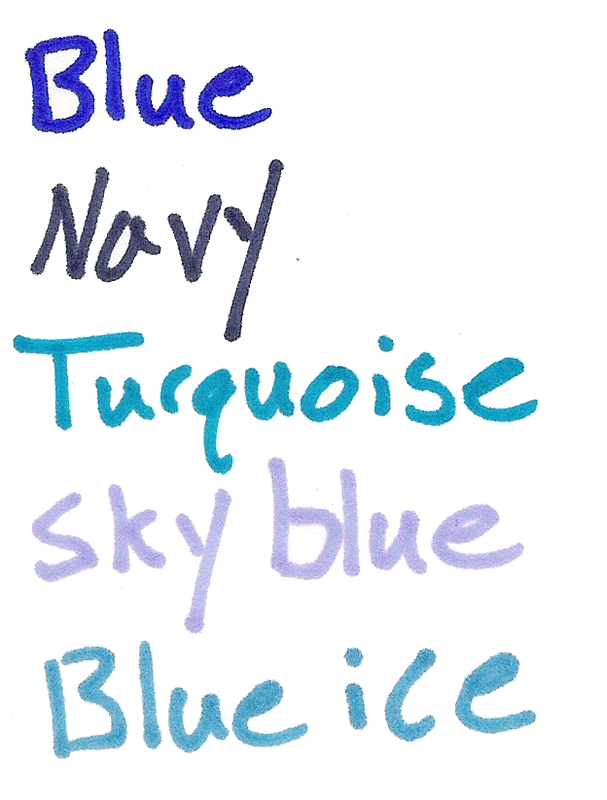 Now in the second part of my Sharpie color reviews I’ll be talking about the blues, a nice and varied set of colors. Blue – Blue is a very classic color and it looks quite a bit like the standard blue we’ve come to expect from various markers and pens. This one is a bit darker, though. 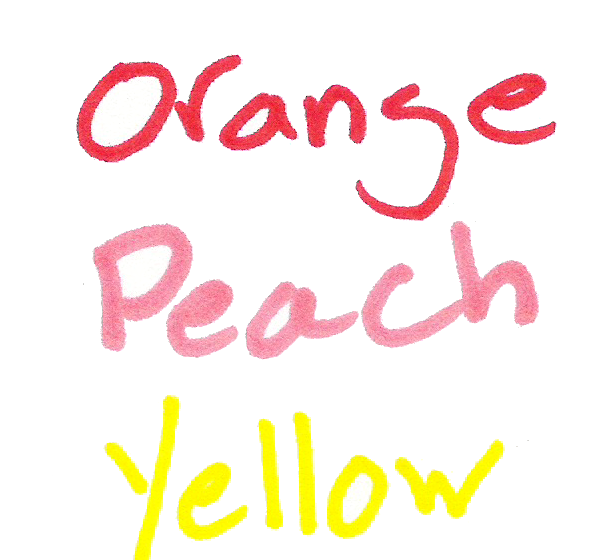 The ink is more wet than the other standard colors and bleeds a bit. It’s also too dark to be natural and almost too much to be organizational, it is a bit too close to black in dark conditions, but with good eyes it can work. Still, it is very blue. Navy – This color is very close to the classic navy color, a bit close to black in low light, but it looks like a lot of navy colors. It’s a very dry color and has very little bleed and feathering/spreading. It’s a nice-looking color, but not a very useful one. Turquoise – Turquoise is a difficult color to get down in ink, and none of them look quite like the stone. This one’s a bit dark, but it does make a good blue-green tone. The ink is very wet, and bleeds easily, but has very minimal feathering. It’s a very natural and pleasant tone, great for organization and for artistic purposes. Sky Blue – This blue, like most of the blues in this set, is darker than it really should be. It’s more of an evening sky blue, or a wispy-cloudy blue. It bleeds a bit more than the turquoise and the blue, and is just as feathery. It’s a very nice looking and easily identifiable color that many office and artistic uses can be found for. Blue Ice (Possibly Mystery Blue) – This color is the most contentious of the colors in my current review lineup. The package of markers I received was not marked, and of the other blue colors I looked at this one seemed closest. If you believe I am wrong in my categorization, I encourage you to leave a comment. This blue is a cool blue that I would say has no direct natural counterpart (certainly not ice, as this is the least aptly named), but it could be used as a substitute in many cases. I prefer it to the sky blue as a light blue. It can be used in art if one is creative and is very distinguishable from other colors for organization. Overall, I really like the blue Sharpie colors. They are a bit bleed-prone, but they have a variety of uses and in many cases are work-appropriate. The tones are very natural and appealing. They’re a good set to get, if one can. 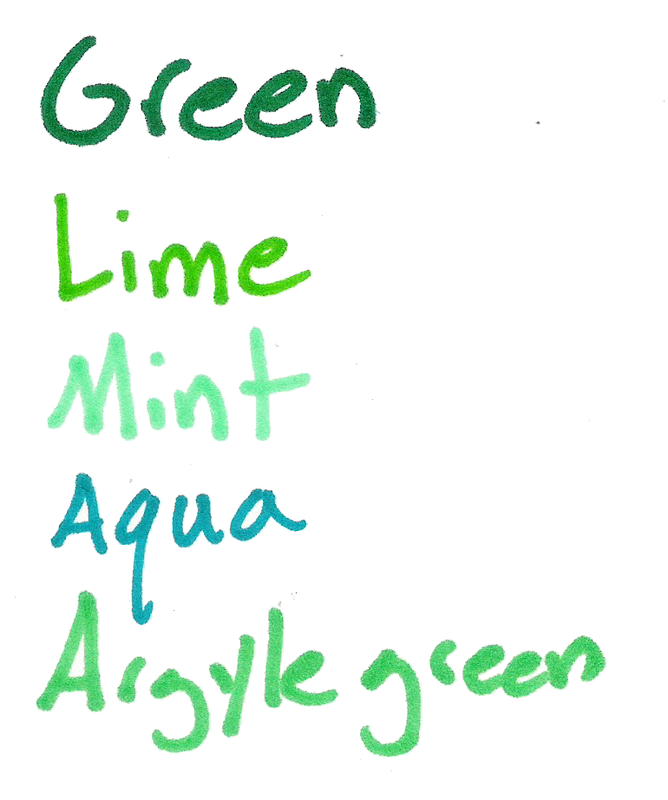 Next time I’ll be looking at a few of the greens that Sharpie has to offer.